This kit comes unassembled! SMD soldering required! 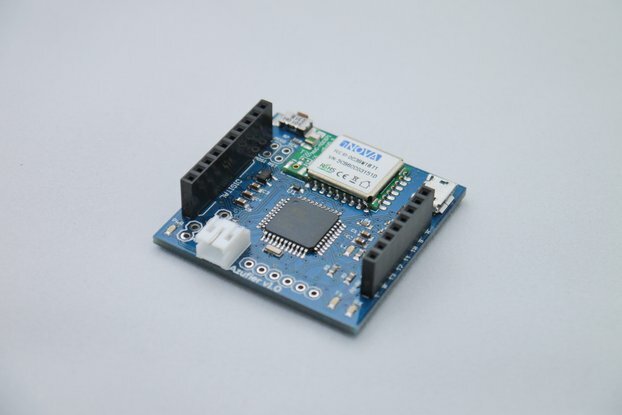 The Arduino board is specially designed for low power operation with an indoor solar cell delivering a few uA of current. It has no voltage regulator and runs of 1.8 to 3.6V. The ATMega328P is clocked by the internal oscillator at 1 - 4MHz and can be programmed with the Arduino IDE via the 6 pin 3.3V FTDI interface with a custom Optiboot bootloader. A 32.768 kHz watch crystal is mounted to enable 0.9uA sleep with periodic wakeup. This is less than one quarter of the 4.1uA WDT sleep consumption. 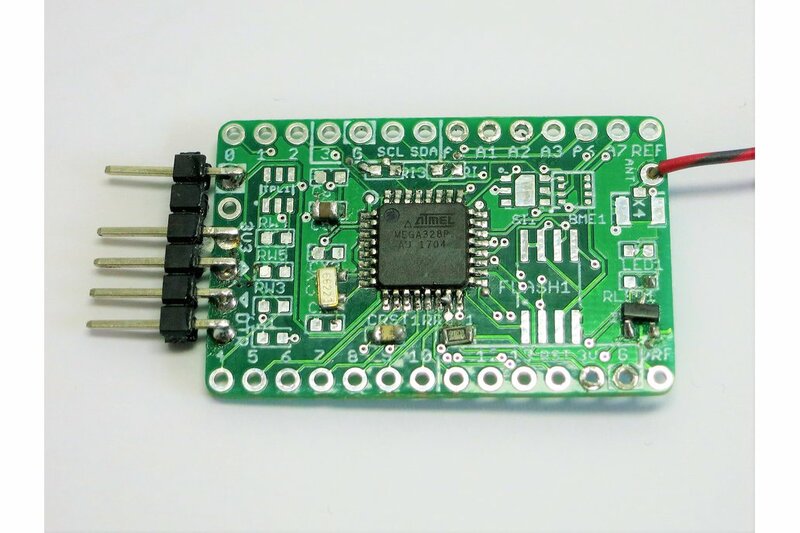 The RFM69 radio module is powered via a P-Mosfet on pin D6. With DigitalWrite(6,LOW) the radio is powered, DigitalWrite(6,HIGH) cuts the power. This allows for delayed staring of the radio module and/or switching it completely off whilst sleeping. 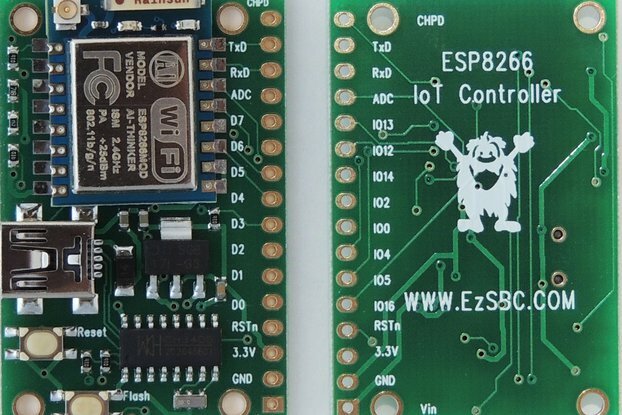 On the board there are unpopulated footprints to extend the functionality: BME280 (barometer, temperature, humidity), Si7021 (temperature, humidity) and serial flash memory. The last unpopulated footprint is for a TPL5010 timer/watchdog. With this timer the sleep power consumption can be futher reduced to 0.135uA from 0.9uA with RTC. NOTICE: On the current version of the board the DONE and WAKE pins are not connected. The board has a I2C port with pins VCC, GND, SCL, and SDA. 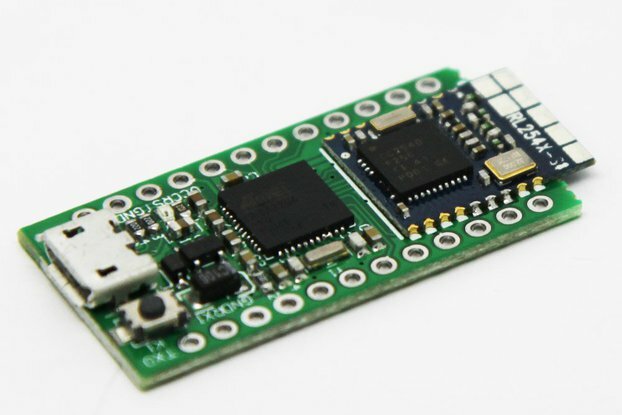 This de facto standard order of pins allows direct connection of many I2C sensor breakout boards. VCC on the port is D3, thus allowing to cut power of the attached sensors when not needed. IMPORTANT: do not connect voltages higher than 3.6V to the board, higher voltages will destroy the RFM69 module. Type "qq", or scroll down the list to "qqqlab Board"
Click on the item to reveal the "Install" button and click Install. First solder the ATMega chip, check for solder bridges and unconnected pins. Connect a programmer to the programming port and flash the bootloader. If progamming does not work, check your solder work. Solder the other components except the RFM69 module. Upload the RTC demo sketch and check that it outputs a 1 second counter on the serial port. Solder a 90 mm solid wire to the antenna output. Trim the antenna wire to 86.5mm for 868Mhz, or 78mm for 915MHz. 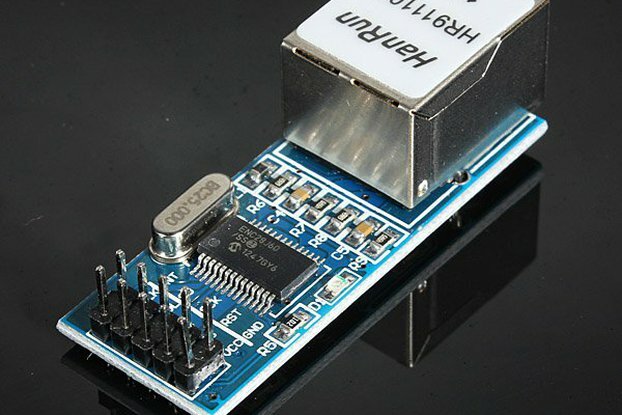 If you need to unsolder the module from the board, it helps to use a small flexible snap-off utility knife and move it carefully between board and module as you melt the solder joints.